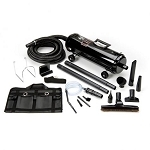 By using a car air dryer you will be able to quickly dry car interiors, which will increase your customers satisfaction and your efficiency. 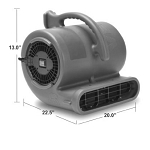 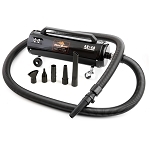 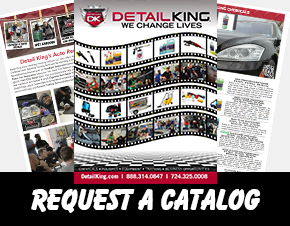 Detail King recommends using the Viking 2 Speed Air Mover to quickly and efficiently dry the vehicles interior. 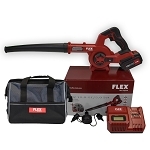 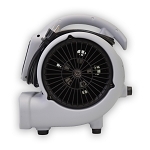 This powerful blower is equipped with a velcro strap and is compact enough to hang on car seat headrests to quickly dry auto upholstery. 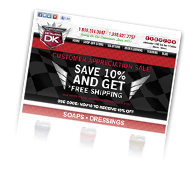 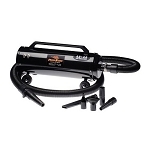 An air mover is a MUST if you offering express auto detailing car interior cleaning services. 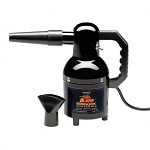 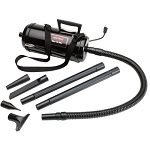 If you want to cut down your labor time for drying car exteriors the MetroVac Master Blaster Car Dryer is a dream come true! 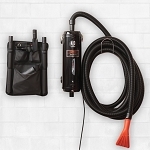 Not only will the Master Blaster dry your vehicle much faster but it will purge the hidden water pockets from door handles, mirrors and from other bezels.